Are you aware that you may be mystery shopped by HUD or the Seattle Office of Civil Rights to ensure you are complying with Fair Housing? Evictions are a generally a worst-case-scenario. Do you know what costs and legal obligations must be performed if you find yourself having to evict? Also, what alternatives you have instead of an eviction? Damage. What if you find the tenants are damaging your home while living there but are in the middle of a lease term? What if when they vacate and the amount of damage done exceeds the tenant’s deposit? Slow pay or no pay. Did you know that if you issue a 3-day pay or vacate on a tenant and you accept even $1.00 from them you will have to restart the eviction process? Do you know what to do when a tenant holds over after the day they are supposed to have vacated the property? What utility collection and/or lien bill will stay with the property even if it is the tenant’s responsibility? Are you available on weekends, holidays or after hours to handle possible maintenance emergencies? Further, what emergencies need to be addressed within 48 hours? Does your lease have any loopholes that an educated tenant might be able to exploit? With the advent of the internet tenants can easily access their rights and tenant advocacy groups. If you are not checking a prospective renters credit, employment, rental and public records (this includes, criminal, bankruptcies, lawsuits, etc.) you are leaving yourself open to a host of liabilities. Do you know if you want to work with Section 8 tenants and what the benefits and potential liabilities may be of this program? 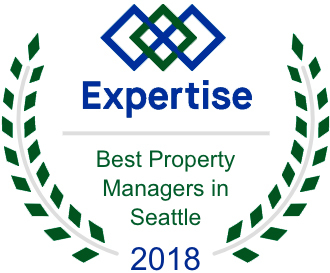 If you did not know the answers to even a few of these questions you may want to consider hiring a professional property manager. We should note many people have self-managed with success, but it only takes one issue to realize the benefits of having a professional organization there to handle some of these potentially sticky and costly situations.